Two Seattle-based mobile analytics companies are teaming up today. 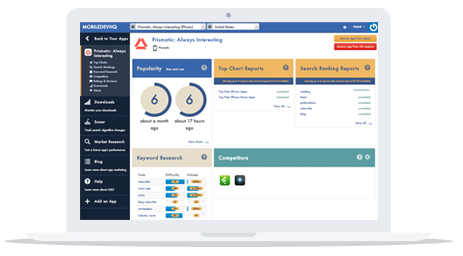 The ad attribution and analytics company TUNE (previously known as HasOffers), has made its first acquisition with the purchase of MobileDevHQ, a software-as-a-service that helps mobile marketers better understand app store visibility, search ranking, ASO (app store optimization), and competitive intelligence. The company was previously servicing a number of brands and enterprise customers, including Realtor.com, Hotels.com and R/GA. Terms of the deal were not disclosed, but MobileDevHQ had raised $750,000 in outside funding since its founding in early 2009. The company has “tens of thousands” of customers using its products, with many of those on a free tier that will continue to be offered following the deal’s close. For now, MobileDevHQ users will still be able to log in and view their data immediately following the acquisition, but the longer-term goal is to bring this sort of app store insight to TUNE’s larger customer base. That customer base today includes some overlap, in fact, and the companies report that these customers had asked in the past if the two services could be better integrated. That demand recently led to a partnership between the two businesses, when, in April, TUNE and MobileDevHQ began to offer one-click integration of TUNE’s MobileAppTracking paid attribution analytics to MobileDevHQ’s inbound app marketing capabilities for their respective customers. TUNE CEO Peter Hamilton says the deal made sense not only because of the overlapping user bases, similar interests and Seattle location, but also because unpaid user acquisition was a metric that HasOffers users were looking to better understand. “We jumped with both feet into mobile a couple of years ago, but we never researched or understood the unpaid side or the organic side of user acquisition, or what it means for a mobile marketer to have their app discovered through the App Store,” Hamilton says, noting that this is something Ian’s team had become experts in. “[Our customers] want to have more insight, and they want to understand their own customers and people better…that’s always been more of a blindspot for us,” he adds. Following the acquisition, MobileDevHQ’s founder Ian Sefferman will become the General Manager of TUNE’s newly created Inbound division, and will report to Hamilton. The MobileDevHQ team of a half-dozen are also joining TUNE. Meanwhile, the integrations have already begun, and the companies expect TUNE’s MobileAppTracking to include the MobileDevHQ features by year-end. As for Sefferman, he says he’s looking forward to working with a company that can offer marketers more data on user acquisitions. “I think that the app ecosystem really allows for the paid user acquisition and the unpaid user acquisition to work together really well, and so far I don’t think any company has tackled that well,” he says. More broadly speaking, the deal speaks to the issues facing mobile marketers surrounding app discovery and engagement today – it has become a game where only those with big marketing and advertising budgets seem to be able to play. And while TUNE’s business does owe a lot to its larger, enterprise clients, Hamilton recalls his early days as an online marketer working with SEO and smaller budgets, saying he now believes there’s also lot of opportunity to bring insights to smaller companies that might be able to make some “quick wins” if they had this kind of data available to them. TUNE recently rebranded from HasOffers in order to better highlight its different services, HasOffers (the product line) and MobileAppTracking, a service that allows mobile developers to see which ads are working, leading to app installs, engagement and purchases. The change also gave TUNE the room to launch more products under the TUNE brand, instead of being associated with only one of its product lines. That ability to expand itself in this way is helpful, especially the ever-changing mobile ad attribution and analytics business. For instance, TUNE (then HasOffers) ran into trouble earlier this year when Facebook dropped it from its mobile measurement program, forcing it to focus its efforts on working with its other advertising partners and platforms. Bootstrapped since 2009, TUNE raised $9.4 million from Accel last year, which is partially what enabled it to do this deal with MobileDevHQ.